Prime Minister Justin Trudeau meets with Chinese vice-premier Wang Yang at the Fortune Global Forum in Guangzhou, China, on Dec. 6, 2017. Canada is doubling down on what it calls a progressive approach to international trade, even as Prime Minister Justin Trudeau and some of his top ministers return from China empty-handed as expected new negotiations failed to launch. Federal Employment Minister Patty Hajdu will meet with Canada's largest labour unions on Friday to look ahead to the next round of negotiations under the North American free-trade agreement, which is scheduled to take place next month in Montreal. Meanwhile, Trade Minister François-Philippe Champagne is planning to focus on progressive issues when he arrives in Buenos Aires this weekend for a ministerial conference of the World Trade Organization. Specifically, the minister intends to promote discussions on gender equality, labour and environmental sustainability, according to a government official. Ms. Hajdu is scheduled to discuss Canada's approach to NAFTA with union leaders on Friday morning in Mississauga. Unions invited to attend include the Canadian Labour Congress, the Public Service Alliance of Canada, Unifor, the United Steelworkers and the International Brotherhood of Electrical Workers. 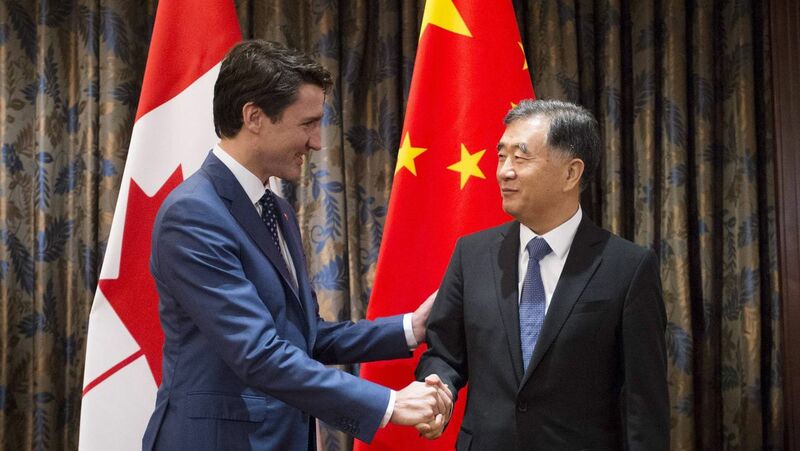 While Chinese and Canadian officials have not clearly stated why the two countries did not launch formal trade talks during the Prime Minister's visit, some signals suggested Canada's focus on progressive issues, such as labour rights, was an irritant to China. In an interview on Thursday, Ms. Hajdu said Canada will stick with its approach . "Canada's going to continue to push on the perspective of labour and ensuring protection for Canadian workers in all of our trade deals," she said. "We cannot have a race to the bottom, regardless of which country we're negotiating with." Ms. Hajdu said ensuring workers are protected in the countries that Canada trades with has the effect of also protecting jobs at home. "When you don't protect the rights of workers through strong labour standards, what you do is create an unlevel playing field. And what we don't want is we don't want companies or organizations, through trade agreements, to be able to move their work force to countries that have weaker labour standards than ours, largely motivated by profit. What that does is it's obviously bad for workers in that country, but it's very bad for Canadian workers as well." There are questions, however, as to the practical significance of including progressive language in free-trade deals. Dan Ciuriak, a trade consultant and former deputy chief economist in Canada's Foreign Affairs Department, said there is little evidence historically that such trade provisions have made a difference. Mr. Ciuriak said on Thursday that Canada is likely highlighting these issues in order to dampen the potential for populist sentiment that has led to upheaval elsewhere. He said the inclusion of general principles about such issues is unlikely to hold up any deals. He cautioned though that insistence on specific issues – such as Canada's opposition to "right-to-work" laws would be strongly opposed by the United States during NAFTA talks. "The progressive trade agenda is well-framed conceptually, but it's a minor part of the big picture," he said. "It should not be, at this point in time, a stumbling point for Canada signing trade agreements. I am mystified at the failure to launch negotiations with China." An editorial that appeared this week in China's Global Times newspaper, which is run by China's Communist Party, criticized Canadian media coverage of China and dismissed the notion that human-rights concerns and trade are connected. "When Canada imports a pair of shoes from China, will Canada ask how much democracy and human rights are reflected in those shoes?" it asked. "It would be as absurd as China questioning the capitalist nature of every single good it imports from Canada."